Cotton has a dirty little secret. Did you know cotton happens to be the dirtiest crop in the world due to its heavy use of pesticides? I’ll say that again to let it sink in: Cotton is the world’s dirtiest crop. Since cotton is grown next to our food supply and in our communities, the use of chemicals can potentially infiltrate our water supply and result in contamination. Now picture a newborn. I don’t know about you, but I immediately think of a baby swaddled in a hospital cotton blanket, its doe eyes squinting and taking in the world around it. Fast forward a few months to a walking and babbling toddler, dragging her favorite lovey blanket behind her, a blanket that serves as her source of security. So what exactly are they cuddling and rubbing up on? Think about the chemicals that have been infused in the fabric. All these cozy and nostalgic associations are shielded from the grim truth of conventional cotton. With the arrival of my daughter came many changes. Food choices were one and clothing another. Since skin is the largest organ on your body, I think it is essential to pay note to what goes on it! I wasn’t taking any chances with my baby. I made it my goal to make a conscious effort to ensure I clothe and comfort her with organic cotton. I was recently asked to collaborate with a company called Little Sleepy Heads. This organic company has everything you need to comfort your little one; from pillows and pillowcases, to swaddles and loveys. They even have an organic bath and skincare line. I was extremely pleased with their promise on using only the finest 100% GOT Certified Organic Cotton! 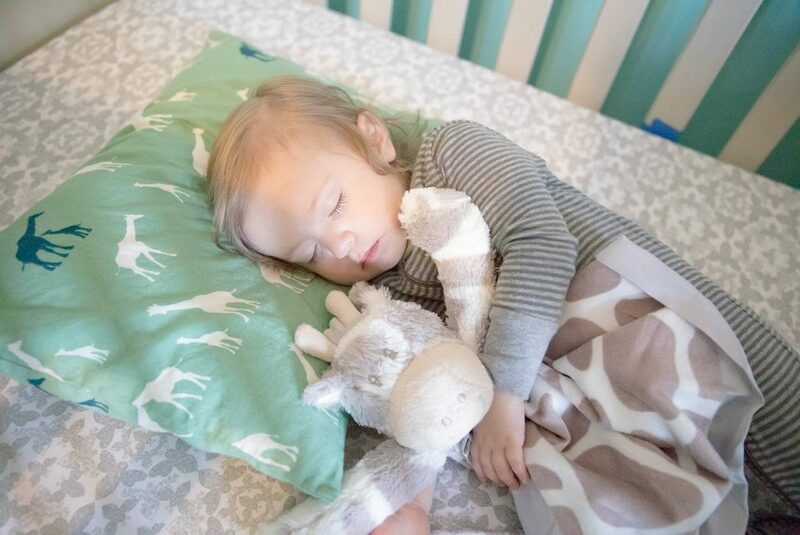 After looking through their website, we chose to review the pillow and pillowcase in the giraffe print. We also picked Jazzy, the Giraffe – a Lovey Security Blanket! I had to go with the giraffe stuff because my daughter loves them! Let’s just say Jazzy hasn’t left my little one’s side since she got it! Let’s talk about conventional cotton versus organic, so we can put it into perspective why it’s better using organic. Once you find out the dirty truth about how conventional cotton is processed, you may think twice about it. A baby’s or young child’s skin is far more sensitive than an adult’s and have underdeveloped immune and respiratory systems. Thus, parents have to be careful what comes into contact with their baby or child’s skin. These factors make choosing organic the obvious choice in my opinion! For starters, conventional cotton is loaded with pesticides, but it doesn’t just stop in the fields. After the cotton is picked and transferred to a factory, it is often treated with harsh petroleum-based chemicals and coated with silicone waxes. Add formaldehyde and ammonia, and a dip in some toxic solutions to make sure it’s flame and soil retardant, and you end up with a product that’s laden with chemicals and over-processed. That clothing we then take and put on our bodies for our skin to absorb. Sounds comforting, right (note the sarcasm)? Now picture an organic field grown by family-run farmers! They don’t use chemicals or pesticides – just compost, water and warm sunshine! The farmers harvest the cotton by hand, keeping it super-soft, and the all-natural goodness intact. The end result is healthy, non-GMO cotton! So you say, how can I make a difference? You can start by choosing to support Organic manufacturers. What you buy as a consumer is a choice. Buying more organic cotton products sends a loud message to manufacturers that you want more. Avoid chemical-ridden products at all costs; they’re in our food, clothes, cleaning products, skincare and beauty products. Environmental Working Group has dubbed the toxic soup of chemicals that circulates throughout the human body as the “body burde”, and that is frightening. Little Sleepy Head gives us the peace of mind we need. Just knowing our child’s pillow and case, as well as, loveys are made with only the best ingredients, is comforting. 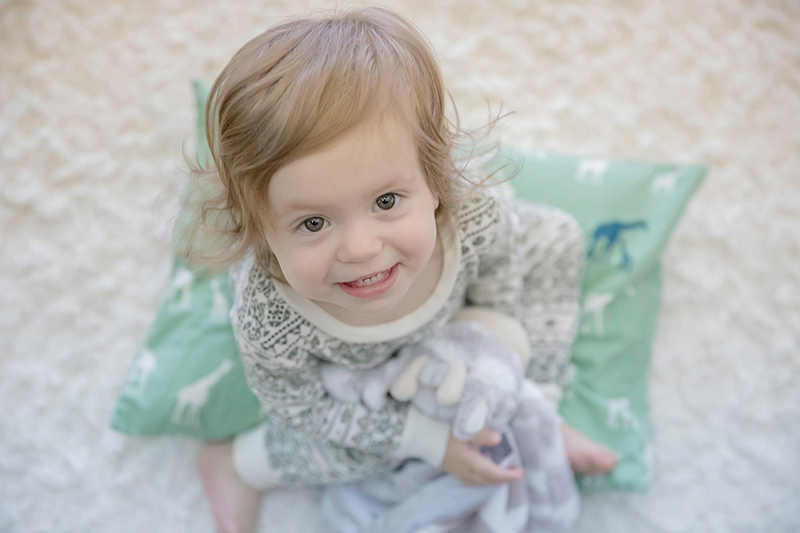 Their organic toddler pillow has 100% GOTS Certified Organic Cotton on the outside, filled with Premium Hypoallergenic Poly Micro Gel Fiber on the inside. Because they don’t use feathers, their pillows are hypoallergenic, super soft, and will help your children get better rest every night. It doesn’t end there. 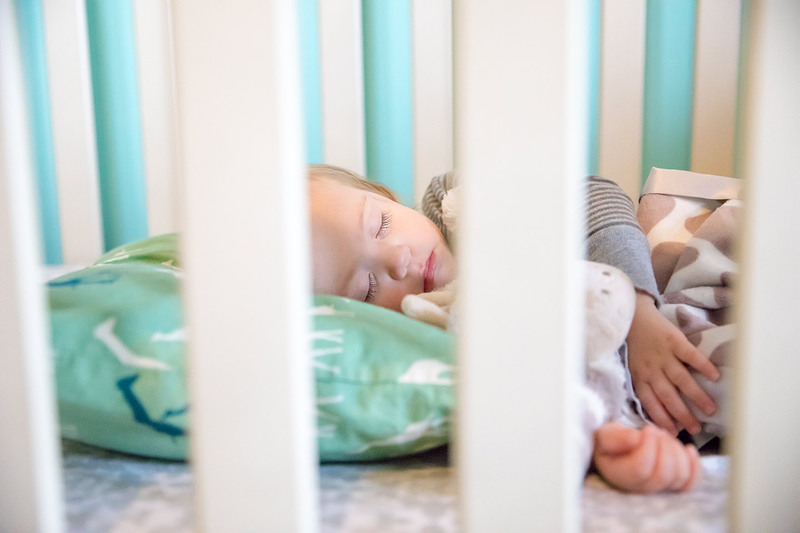 Little Sleepy Heads’ staff hand-inspects each pillow and the 200-count ticking assures a tight, mite-resistant weave, and is superior quality. They truly care about their consumers and take pride in providing chemically free products! PILLOWS: Toddler pillows is 13” X 18” and come with less fluff than our original toddler pillow (recommended for 2+). PILLOWCASES: Options made from 100% cotton, 100% polyester, and 100% organic cotton, we're sure you're going to love whichever designs catch your eye! 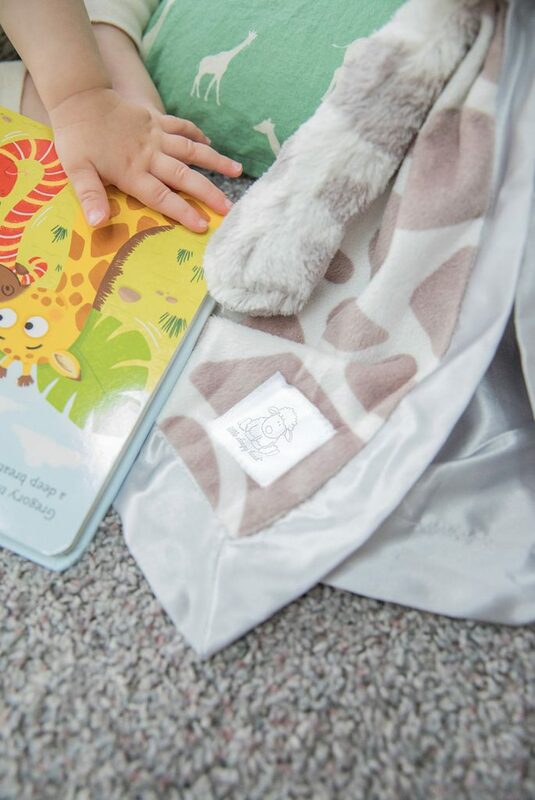 LOVEY SECURITY BLANKET - Jazzy The Giraffe: Jazzy the Giraffe provides textures that little fingers love to touch and snuggle and is the perfect size for little hands. Jazzy has floppy arms that are open and ready for hugging, and an expressive face that offers comfort and a sense of security to your little one. Jazzy the Giraffe is also machine washable for accidents after being used as a burp cloth, left outside, or for when its just time to be cleaned! Description from website. More expensive than conventional cotton - BUT worth it! Remember when you buy organic cotton and food products you are making a difference! What are your kids favorite things to sleep with?